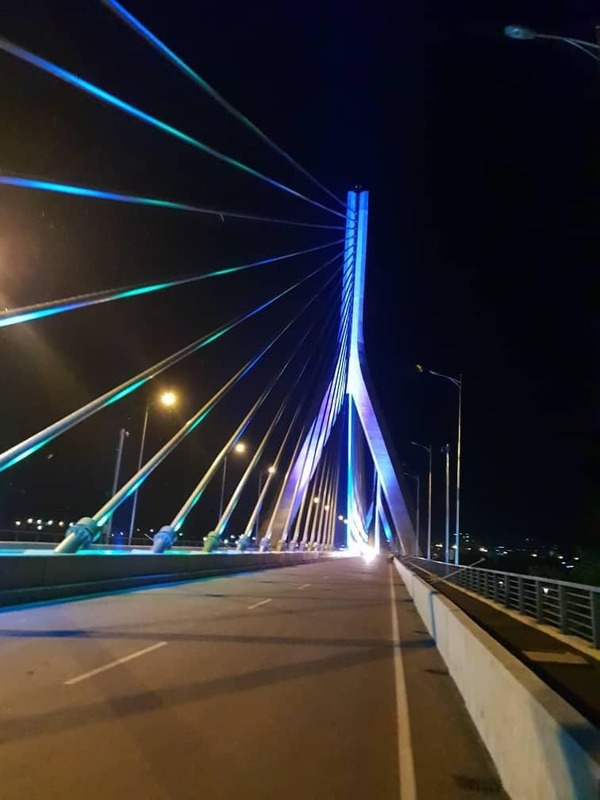 KAMPALA/JINJA – The Uganda National Roads Authority (UNRA) has dismissed claims that the newly constructed Jinja cable bridge has developed cracks. On Sunday, pictures emerged on social media of workers removing a layer on the road and doing repairs, raising concerns of shoddy work on the multi-billion project that was commissioned in October 2018. But Allan Sempebwa, the media relations manager in the office of UNRA Executive Director, said the layer they had put on the bridge was temporary and now they are removing it to put the main one. “We needed to test and gather baseline studies on different aspects and performance of the bridge for instance on traffic loads, and it’s general functioning, so a temporary layer was laid for this purpose,” he said on Sunday evening. “The contractor is now laying a trial section with permanent asphalt and eventually a final one will be laid,” he added. Constructed at Shs450 billion, the New Bridge was designed with a structural life span of 120 years and its picturesque location is expected to enhance tourism in the country. The 525m-long bridge has a central span of 290m, end spans of 135m and 100m on the east and west banks respectively. The overall width of the Bridge is 22.9m wide. It has a dual carriageway 7.0m wide with a pedestrian walkway of 2.25m wide on both ends. For security at night, the Bridge will have lighting facilities.